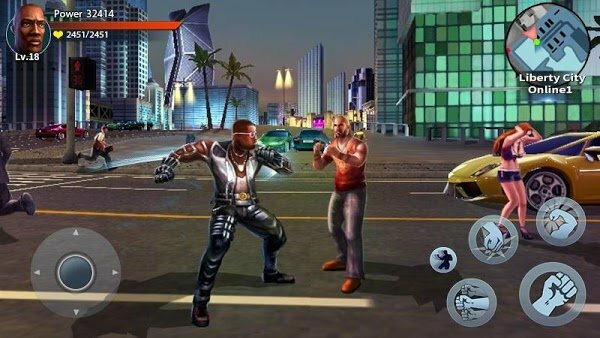 Auto Theft Gangsters is an action game in which the player is portrayed as a gangster who moves around the streets. However, we have to confirm from the beginning of this article that this is not the official version of Grand Theft Auto released by Rockstar Game. This is a slight remake and modified version of Doodle Mobile Ltd. released on the Android platform. However, what makes players really enjoy is the game set in the beautiful city of Liberty, where there are a number of problems that you need to solve. Dark gangs, illegal trading, and dangerous criminals all make up a city without law, a city of rotten things. You will have to go back to justice or bring justice to those who are harmed in this beautiful but dangerous city. 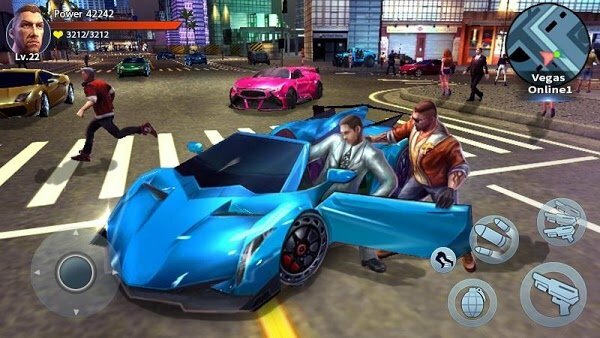 As well as the action games of the same genre, Auto Theft Gangsters also allow you to travel around the city and perform tasks assigned in the shortest time. Players can use a variety of weapons, including rifles. Along with that is the use of a variety of vehicles available on the road such as motorcycles, cars or even the helicopters. Because the player also plays a gangster, so you must also run away from the police if you crime or ruin the city. Nobody can forgive you but do justice instead of pretty useless police like Batman who did it with Gotham City. This beautiful Liberty City will be the perfect reproduction of this game. The bars, eateries or high-end casino being built in the most realistic way. The highlight of this game is the fascinating storyline and impressive graphics. Although they are not a famous publisher, Doodle Mobile Ltd also extremely cared for their mentally-minded child. 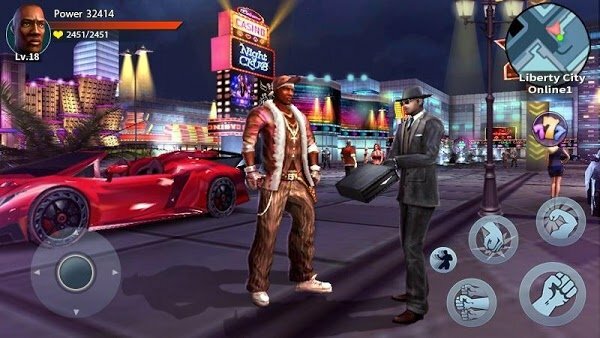 Specifically, Auto Theft Gangsters is equipped with the latest 3D graphics and live audio. City maps are built in the most realistic way, players will take quite a long time to be able to explore every corner in this beautiful city. If you need to find a racing game with a different style then this is the best answer for you. With Auto Theft Gangsters, your job is not just to fight, you will be driving the most luxurious cars, arrested criminals, and guns against them. Just ride the car and do the crazy things you can not imagine. Currently, the game is being offered free on the Google Play app marketplace. In just one month, Auto Theft Gangsters has reached 500,000 downloads and positive reviews. If you have been bored with the old version of Rockstar then this is the perfect replacement for this special action blockbuster. Note that this is only a shortened version of the GTA classic series. However, if you need a game for entertainment then this can still be a great option.